Proper training for dealing with members of the community suffering from Alzheimer’s, dementia, autism, and other cognitive problems has never been more vital. 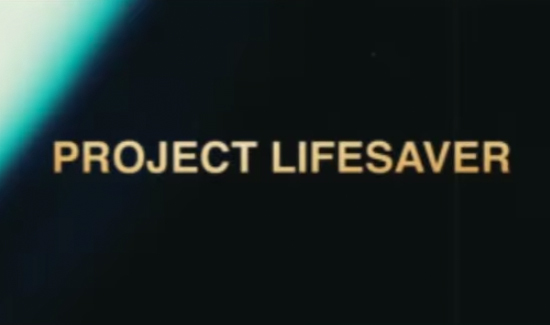 Fortunately, Project Lifesaver International is here to help. This non-profit organization trains/certifies/educates members of law enforcement and first responders how to locate individuals who may wander due to autism, Down syndrome, Alzheimer’s, or dementia. They also integrate tracking and locating technology tied into the training for the Project Lifesaver program to help bring loved one’s home. Their general session conference, along with their training courses, have been designed with you in mind and include a variety of speakers from all aspects of our profession addressing the current trends, regulations, policies, and technologies in the fields of safety, security, and the care of individuals with cognitive disorders. Scroll down below the flyer to learn more about the important training for law enforcement. 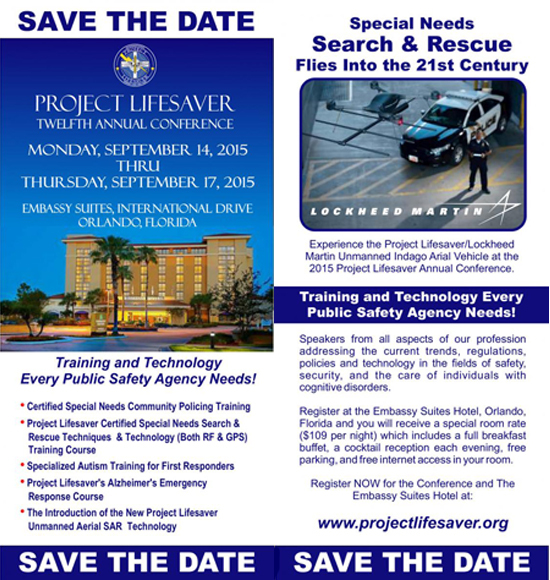 Project Lifesaver International has developed the only scenario-based Alzheimer’s response training designed for and with Law Enforcement utilizing the best practices available from Alzheimer’s experts today. Decrease liability, improve officer safety, foster more positive call outcomes and build better community relationships with the general public.These courses help you proactively embrace the needs of the very vocal and growing Alzheimer’s family caregiver and healthcare constituents so often in the media today, in your area. For more information, check out their official conference page HERE.